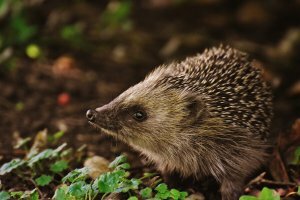 From 10.30 am on Saturday, 12th January 2019 at the Charlton Kings Library, the Gloucestershire Wildlife Trust will be holding a morning dedicated to the hedgehog including tips on how to make your garden hedgehog friendly. plus hedgehog crafts and seed bomb making. The next meeting of the Planning Committee will be at 7.30 pm on Monday, 7th January 2019 in the Stanton Hall. Members of the public are very welcome to attend. We have been advised by the YMCA that anyone who comes across a rough sleeper in Cheltenham who needs support should report this via StreetLink by visiting https://www.streetlink.org.uk/ or calling 0300 500 0914. 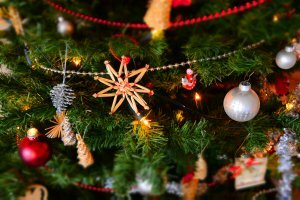 The Parish Office will be open until 2.00 pm on Friday, 21st December 2018. It will then be closed until 10.00 am on Thursday, 3rd January 2019. 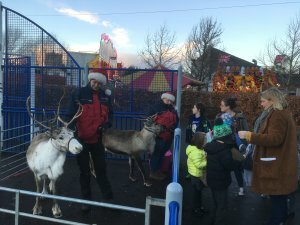 We hope that everyone who came along to our Christmas Fayre on Friday afternoon had a wonderful, festive time and enjoyed meeting Father Christmas and his reindeer. If you would like to see a few more photographs of the Fayre, please look on our Gallery page. 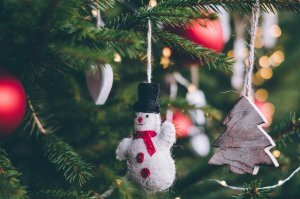 The next meeting of the Planning Committee will be at 7.30 pm on Thursday, 13th December 2018 in the Stanton Hall. Members of the public are very welcome to attend.